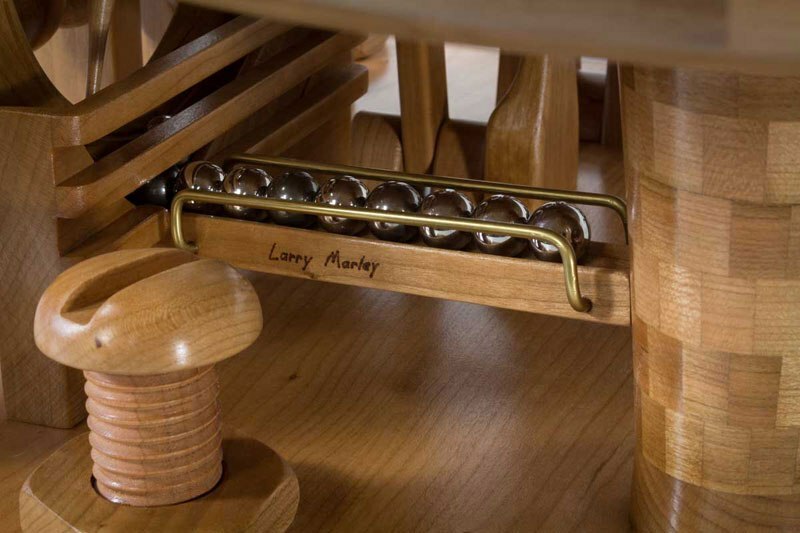 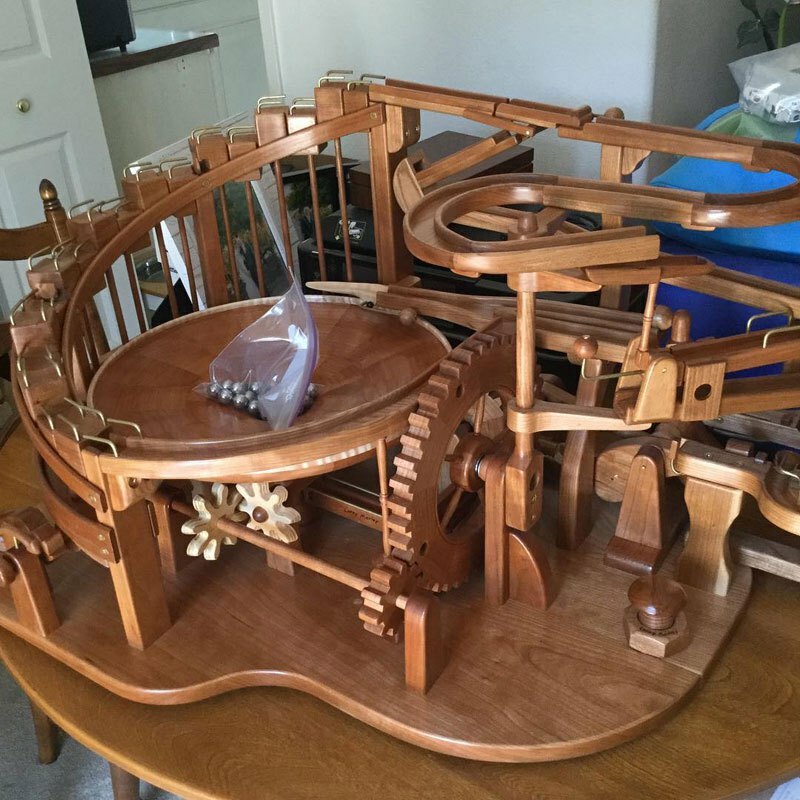 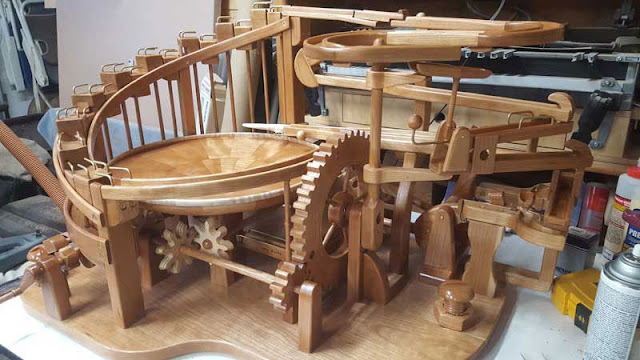 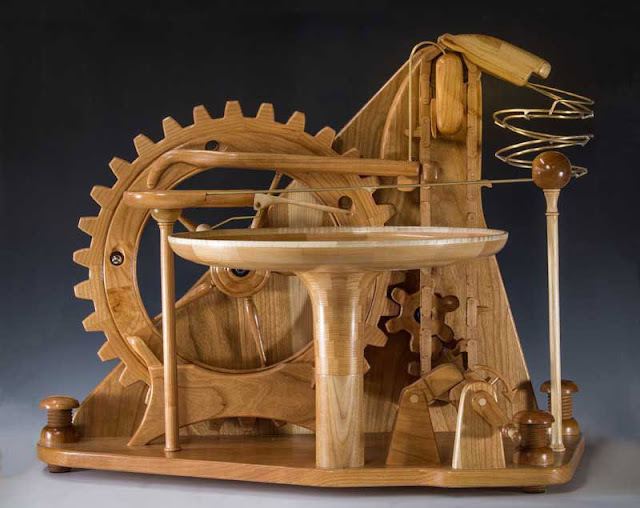 Since 2016, artist and woodworker Larry Marley has been building and designing an annual ‘Gravity Well Marble Machine’. With each successive version, the design gets more ambitious and elaborate. From the satisfying sound of metal on wood to the hypnotizing path from start to finish, these wonderful contraptions are a delight to watch. 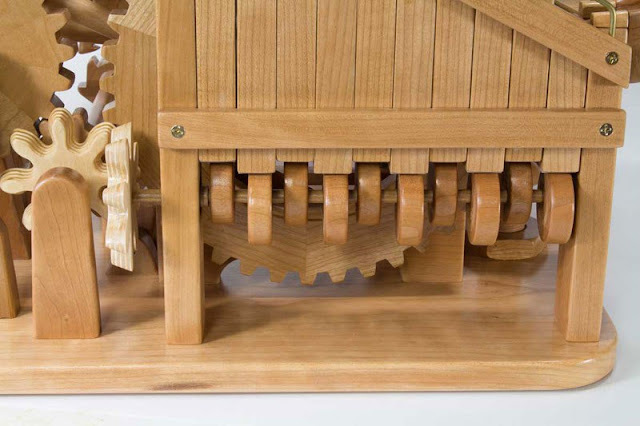 Most works begin as a series of thumbnail sketches. Once a design is clear, a full size mechanical drawing is made. 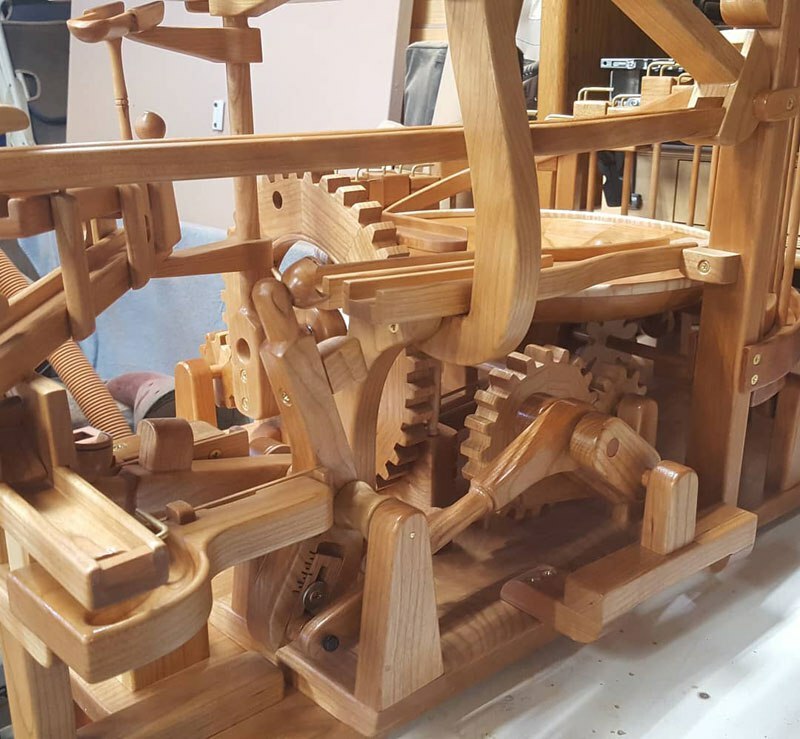 Then critical dimensions can be measured and entered into a software application he created to process this information and create a cut list. 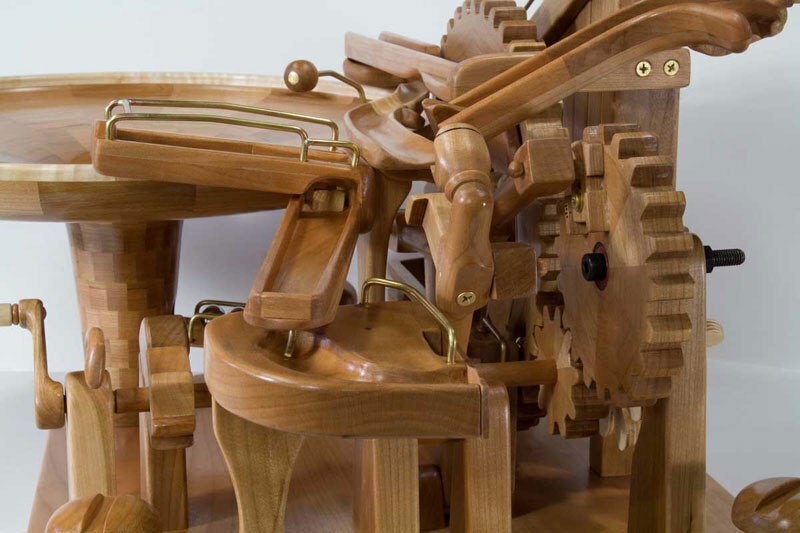 The pieces are then cut, assembled, and usually turned, carved, and sculpted to final form.